We learnt to love picnics when travelling through Europe—so easy to fill a basket with cold saucisson and pate, yummy cheeses and breads, and a bottle of local wine—and much cheaper than eating at a fancy restaurant. Other good picnic items are pies and quiches; easy to carry and even easier to eat. We’ve been making our quiche for years and it’s based on an old (very old) Women’s Weekly recipe! Take a look at our great ideas for an autumn picnic in the bush, and get our quiche recipe below. 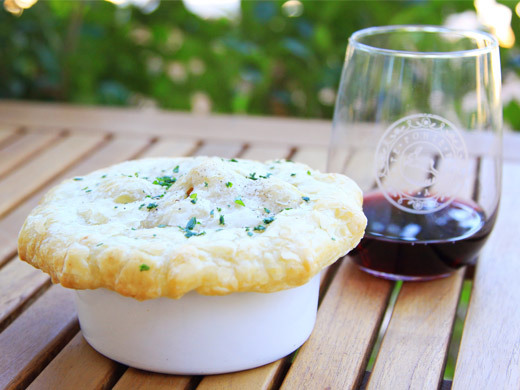 You can find our delish pie recipes at LFW Celebration Pies! Cold meats including ham, salami, prosciutto, saucisson (you can buy this from any good deli such Capital Region Farmers Market, or Belconnen and Fyshwick markets), pates, and chicken; soft cream cheeses and gentle blues for spreading on the bread, and individual mini pies and quiches. 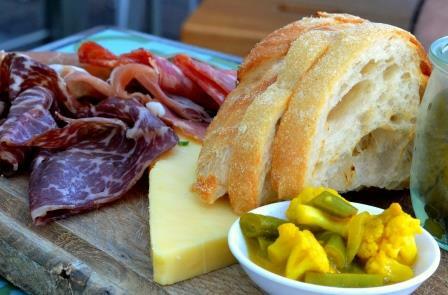 Italian or French breads are fairly traditional but rolls are easier to handle and eat. And don’t forget the spreads and extras; mashed avocado, and hummus, spicy cornichons, sweet pickle or a tangy bush tomato, sliced tomatoes, cucumbers, and olives. Yummo! For the base: 1 cup plain flour (wholemeal or GF), 1 large knob light Phili cheese, 1 knob butter (real butter! ), water to mix. 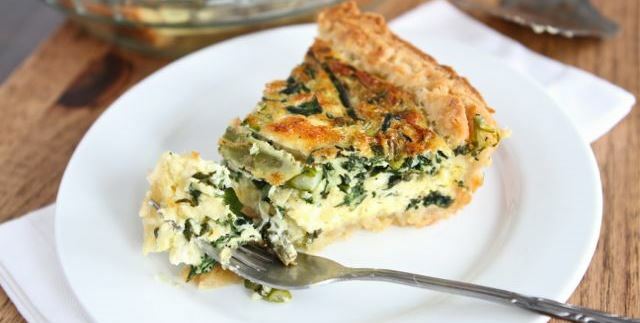 For the filling: 1 and 1/2 cups grated cheese, 3/4 cup light cream, 4 large eggs, ½ grated onion. This makes the basic quiche to which you can add any of the following: chopped bacon or ham and sliced tomatoes; slivers of smoked salmon; flaked left-ever baked salmon fillet and thinly sliced camembert; cooked finely chopped spinach; thinly sliced asparagus and a handful of fresh peas—the quiche is basically whatever you want it to be and whatever you like! Heat the oven to 200 degrees celcius. In a large bowl rub the Phili cheese and butter into the flour until it resembles fine breadcrumbs. Slowly add cold water and mix together to form a slightly sticky dough—it should not be too wet, soft or too dry. Roll out the dough to fit your dish, lightly prick all over with a fork, and bake blind* for 10 minutes. Leave to cool. While the base is cooling whisk together the cream and eggs and set aside. Cover the cooled base with ½ the cheese and the grated onion, then add your other ingredients on top of the onion, and finally the rest of the cheese. Slowly pour cream and eggs over the filling so it seeps down into the quiche. Bake for 45 – 50 minutes or until set in the centre. Allow to cool slightly before cutting. Serve with a tossed green salad or your favourite veggie salad combo. *To bake blind cover the base in baking paper and pour over dried uncooked rice or pasta to weigh it down. Home-made chicken and leek pie from LFW Celebration Pies! Delish! 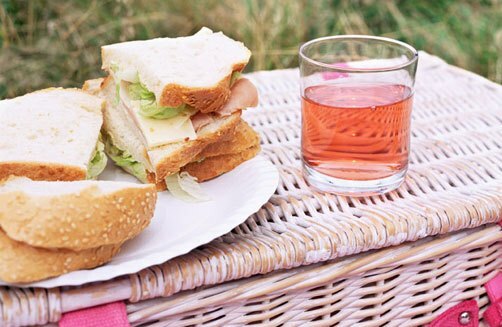 What’s your favourite picnic food? Share your recipe here. 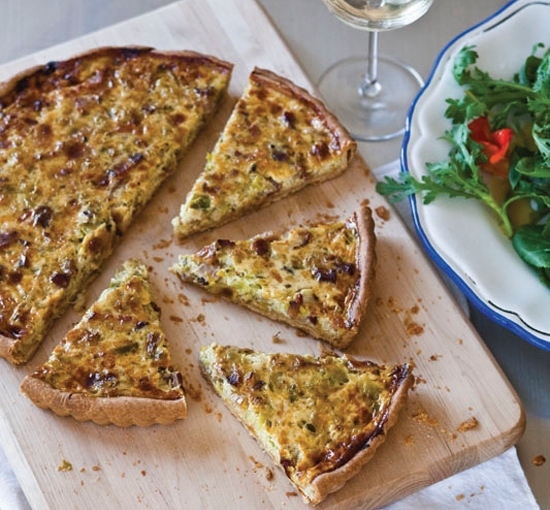 This entry was posted in LFW Food&Wine and tagged Basic quiche recipe, Belconnen Fresh Food Market, Capital Region Farmers Market, Fyshwick Fresh Food Market, Phili cheese, Picnics on March 27, 2015 by gracienumber1.